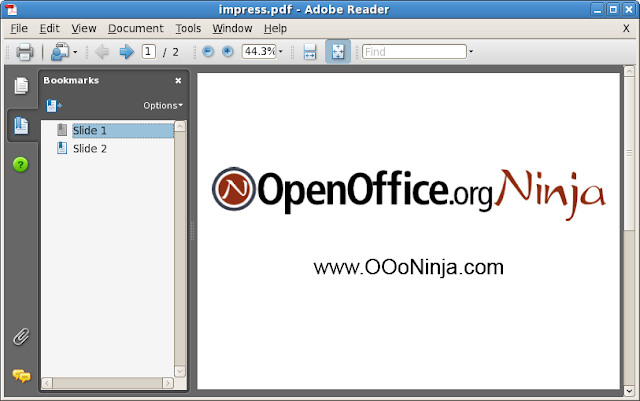 OpenOffice.org 2.4 introduces support for exporting Impress and Draw page names as PDF bookmarks which facilitate navigation in the Adobe Reader. Open an Impress or Draw document. 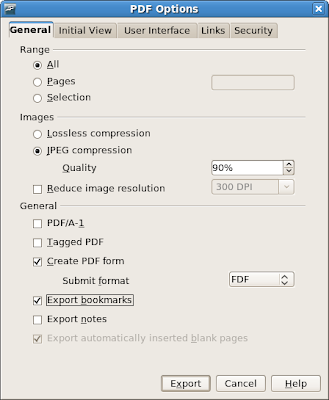 Click File > Export PDF. Check the box Export Bookmarks in the General tab. The page names will appear as bookmarks in your PDF viewer.